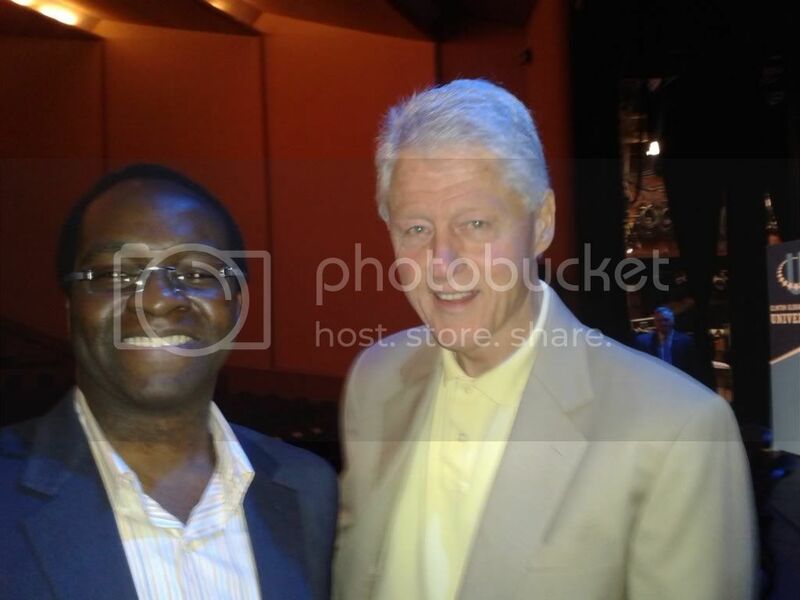 The Clinton Global Initiative (CGI), established in 2005 by former U.S. President Bill Clinton, is an effort to bring together a community of global leaders who seek to forge solutions to the world's most pressing challenges. CGI then formed CGI University (CGI U) in 2007 to engage the next generation of leaders on college campuses across the globe.In 2009, Sproxil won the CGI U Outstanding Commitment Award for our efforts to curb counterfeit medicine casualties in Africa. In 2010, we announced our Commitment to Action at the CGI U 2010 annual meeting - "Preventing the Diversion of Medical and Food Donations." Since winning the Outstanding Commitment Award, Sproxil has participated in every CGI U annual meeting. This year was no different. CGI U's 2012 meeting took place this weekend (Friday, March 30th - Sunday, April 1st), in Washington D.C. CEO of Sproxil Dr. Ashifi Gogo sat at the Saturday morning Plenary session on "The Wisdom of Failure: Building a Culture of Creative Problem Solving," alongside Biz Stone (co-founder of Twitter), Robin Chase (Founder, CEO of Buzzcar), and Cheryl Dorsey (President, Echoing Green). The session, along with the rest of the exciting weekend activities, was met with such great enthusiasm from participants who traveled from across the globe to attend the event. CGI U ended this year with a day long service project. In partnership with Rebuilding Together and the USO, attendees and volunteers were assigned to one of two partner organization projects: participants either engaged in a wide variety of home repair activities with Rebuilding Together, or created care packages for military Units with the USO. We are very blessed to have the opportunity to participate in such a positive and inspiring event and we look forward to many more to come.